It has been known for nearly a century that cancer cells have a unique metabolism compared to normal cells. Only recently, however, has there been a broad and significant renewal of scientific interest focused on exploring this unique metabolic divergence to facilitate the discovery and development of groundbreaking therapies. The altered metabolism of cancer cells is considered to be fundamental to the transformation of normal cells into cancer cells and believed to be conserved in most, if not all cancers, including solid tumors, lymphoma and leukemia. This hallmark metabolic transformation utilizes less oxygen and radically alters energy production mechanisms. This includes a large shift in mitochondrial function from energy production to the creation of biosynthetic intermediates, or building blocks, supporting new cell growth and proliferation. Not surprisingly, metabolic requirements and nutrient uptake by cancer cells are altered dramatically compared to normal cells. Today, the most widely understood change in metabolic uptake is the vastly increased uptake of glucose by cancer cells. This increased uptake is currently being extensively utilized to provide enhanced imaging, diagnosis and staging of tumors in humans via Positron Emission Tomography (PET) imaging. Cancer cell metabolism has recently become one of the most exciting and promising areas for the development of drugs to treat cancer. By better understanding these cancer-specific metabolic processes, researchers in the field hope to find new drugs to revolutionize cancer treatment. Targeting cancer metabolism represents a potential opportunity to develop novel, selective and broadly applicable drugs to treat a multiplicity of cancer types. Rafael’s lead drug, devimistat (CPI-613®), which is being evaluated in Phase I, I/II, II, and III clinical trials, targets certain key enzymes that Rafael has identified as crucial to cancer cell metabolism. By targeting these enzymes, devimistat acts to selectively block a key source of cancer cell energy production. To learn more about Cancer Metabolism please read the Cancer Metabolism Backgrounder.  Rafael’s lead drug, CPI-613, which is being evaluated in Phase I, I/II, and II clinical trials, targets certain key enzymes that Rafael has identified as crucial to cancer cell metabolism. By targeting these enzymes, CPI-613 acts to selectively block a key source of cancer cell energy production.